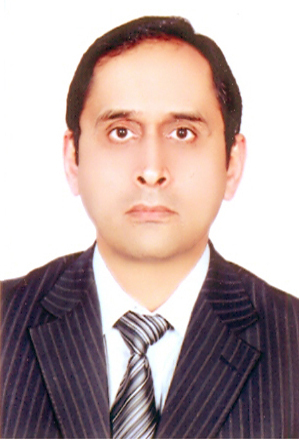 Department of Psychiatry & Behavioral Sciences is headed by Prof. Dr . Imtiaz Ahmad Dogar. It is the only public sector facility that is providing Clinical and Forensic services to 08 districts of two Divisions Faisalabad & Sargodha. Department provides Out patient and Liaison services to Allied and DHQ Hospitals. While 50 bedded inpatient unit in DHQ Hospital, Faisalabad. This Psychiatric unit has 24 hour emergency services, a Model Drug Abuse & Treatment Center, EEG & ECT machines, interview/ therapy rooms, rehabilitation room, separate male & female and Children bays and group therapy room. Under graduate teaching services include, Teaching and clinical final year MBBS, Behavioural Sciences 2nd & 3rd year MBBS, Behavioural Sciences 2nd Year BDS. Post Graduate Training include, 11 FCPS II Psychiatry Trainees, Rotational trainees from general medicine, forensic medicine and public health, Behavioural Sciences for MD Cardiology & Diploma Cardiology. Internship Clinical/Applied Psychology, Internship Under Graduation, BS (Applied Psychology, Human Development), Internship Post Graduation, MS (Clinical Psychology) & Home Sciences, M. Phil (Applied/ Clinical Psychology). Internship Others, Sociology, Home Sciences, Special Education and other related discipline, BS, MSc Psychology, Sociology, Human Development, Home Sciences and Nursing & Paramedics. Regular case conferences, seminars, presentations and discussion groups in order to nurture academic environment. Department also has a well equipped library, audio visual class room/ conference room, Psycho-diagnostic lab and seminar hall. Faculty members have a keen interest in Research and Publications. More than 50 researches have been published in reputed National and International Journals and still a good number are in process. Department is also secretariat for publication of Journal of Pakistan Psychiatric Society (JPPS) which is PM&DC and HEC approved journal being published regularly on quarterly basis from last 04 years. Department has established research links with International personals and Institutions for collaboration and assistance. Department also has been in collaborative ventures with World Health Organization (WHO) and District Health Development Center for training of Doctors both for long and short terms. Department has successfully organized 16th & 20th National Psychiatric Conferences of Pakistan Psychiatric Society in 2005 and 2014. Training workshops for faculty, trainees, psychology interns, teachers and other allied health professionals are also being organized on regular basis. It also pays much attention in observing special days like, Anti-Narcotics Day, World Mental Health Day etc. The Department is running outreach Programme to decrease stigma and increase awareness about Mental Health and Drug abuse in collaboration with NGOs. Free medical camps are also being arranged regularly in various towns like Jhang, Toba Tek Singh, Jaranwala, Sammundri, Gojra, Chiniot, etc.